KENT PROJECT – PLANNING PASSED! We are really pleased about this one…. 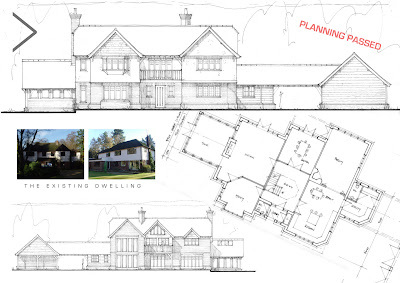 This project is a replacement dwelling situation on a lovely plot in Kent for a young family looking to create a family home. Once again it is in a difficult planning situation as the existing bungalow is relatively small, is within Green Belt and also within a AONB (Area of Outstanding Natural Beauty). However, after working closely with the planners throughout this year whilst at the same time ensuring we get the design right for the clients, we received as of Friday last week a full planning approval! We have now got very happy clients on what will be a lovely house in a stunning location. The house is going to be Kent referenced contemporary barn using an oak frame from our friends at T J Crump Oakwrights. ASCOT PROJECT 2 – PLANNNG PASSED! I think I must say this about all of my projects but this truly is one of my favourite houses this year! It is a 6000 square foot Arts and Crafts inspired house just around the corner from Ascot race course and when built will look absolutely amazing. We have worked closely with the planning department throughout the year who described the design as one of the best they have seen in years! We are pleased to announce that we received full planning approval last week for the demolition of the current property to be replaced with this impressive design. This job probably had just about every obstacle you could think of and when combined with some very restrictive planning policy due to its Green Belt Village location, we knew it would be a challenge. As always though, we worked closely with both client and planning authority and came up with a bespoke solution to ensure all parties were happy. 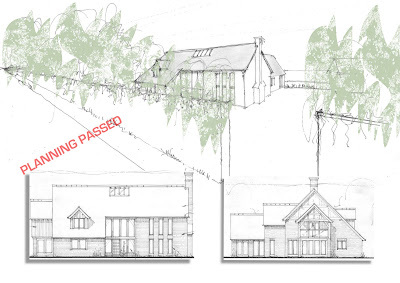 LINCOLNSHIRE BARN PROJECT – PLANNING APPROVED! 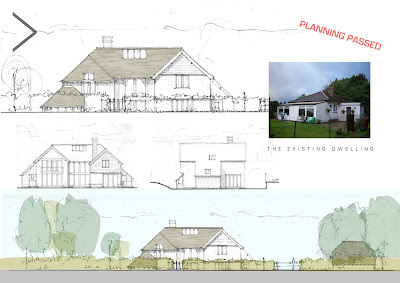 Another one of our favourite projects received full planning approval yesterday! The project is a contemporary interpretaion of a barn conversion to be finished in a classic combination of soft red brick, slate roof and oak framing from our friends at Oakwrights. We have been working closely with West Lindsey District Council since April of this year in terms of policy and design and are very pleased with their input. The plot is contained within an old Victorian walled garden with open views to the countryside also and will be perfect when finished. The clients have been perfect for us also with a good idea of what they wanted to achieve.